There is no denying we have a major soft spot here for British industrial-doomer Concrete Lung though that pleasurable weakness might be as much from the concussion from listening to thementally devouring, physically punishing sounds spawn as any lustful inclinations. There is something about its dissonance soaked invention and vitriol fuelled imagination which gets under the skin and inflames our own emotive quarrels; a connection which has never been stronger than with the project’s new album Fumes. Like its title might suggest, it is a suffocating severely invasive affair, debilitating and cancerous, and oh so irresistible. The successor to 2014 leviathan Tolerance & Dependency, the nerve shredding Fumes sees Ed Oxime at his most sonically corrosive and emotively discordant yet but equally at his most destructively virulent to date. In their own ways, each of the seven tracks within the album stalk and hunt down the listener, devouring their light and feeding on their weaknesses but in turn sparking a cathartic release as potent as that you imagine the pair found giving birth to Fumes. 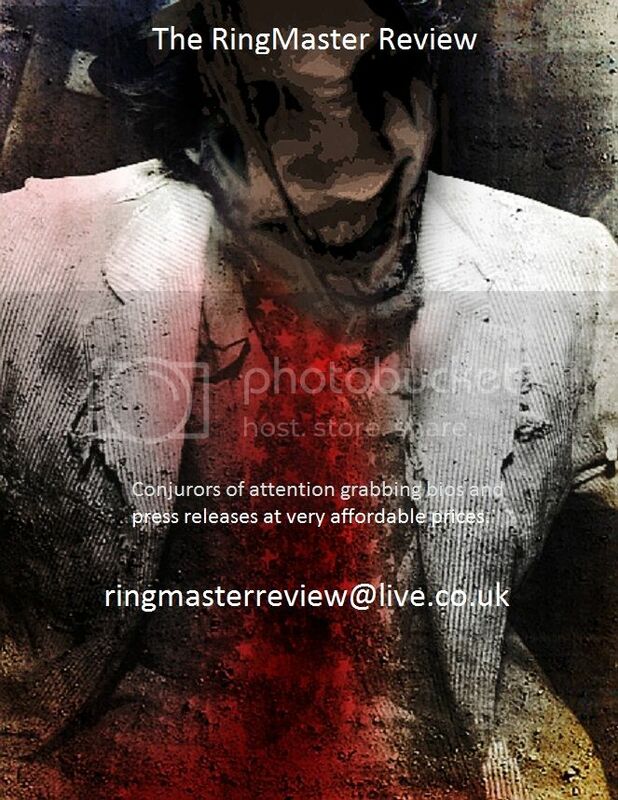 As its predecessors, Fumes does not want to be liked nor does it care the emotional waste its ruinous exploits cause but as opener The Harbinger proves, if it’s kind of raw attrition and toxic sufferance is your masochistic poison the rewards are exhilarating. It rumbles into view, like a distant portentous storm with swift sonic winds to the fore. Its cavernous air soon becomes a senses smothering cloud of mordant noise, industrial death knells clanging as the track nags and niggles its way into the psyche. Equally the vocals lay a caustic glaze on the infernal incursion, the pressure and animosity intense yet infectiously virulent. Of course there is no respite as Spinning In The Grave prowls in straight after and it too gives no inch as it consumes the senses in sound as vocals and words unleash their antipathy. Equally though, it has its own death dealing swing, heavy rapacious grooves winding rather than swaying around ears but with a contagiousness which cannot help but infest song, vocals, and listener alike. It grinds the defences down, though admittedly a willing submission just waiting to grab the salacious manipulations on offer; they then asphyxiated by the tsunami of sonic jaundice brought by When The Blind Man Sees You. Its lumbering pestilence is equally addictive, preying on thoughts and emotions whilst seducing with its senses scarring funereal swing and though for over seven minutes it crawls over the listener, it just leaves too soon. Dissension I is just a carnal schism uniting noise and fear in a sonic smog of dissent, softening up already wasted senses further for A Thousand Years to venomously scrutinize and erode layer by layer with its industrial acid before the wounds are further decomposed by the post punk entangled, doom spawned album title track. There is an early Killing Joke hue to the tenebrific skulk of the track’s climate and gait, its compelling echo adding to the sublimely lethal lure of a highly addictive consumption. Ending on the starkly raw dissolution of, well everything with Dissension II, the perpetual scourge of Fumes is filthily primal, severely uncomfortable, and permanently scarring but one of the most exhilarating violations heard pretty much since Concrete Lung’s last intrusion. The band has become more creatively dangerous and sonically insightful so beware, be brave, and go enjoy. We all know music can intimidate and bully the senses into either submission or rapid fleeing, at times sounds can even corrode the edge of reality into numbness but for sheer lethal intent none come as dangerous and viciously intrusive as the Subtract Nerve EP from synapse destructors Concrete Lung. The release is a violation which pours sonic venom into every atom and pore of sanity with craft and imagination. It will have many hiding and quaking in fear but for others it will be molten pleasure and a collection of malevolent bred tracks which seduce completely with exhausting and destructive creativity. Released via Armalyte Industries and only available in a physical format (CD), which is very apt as the outstanding EP is as physical as it is aural; Subtract Nerve follows the acclaimed vinyl-only Die Dreaming single with an even harsher and heavy weighted intensity. Consisting of William Riever (bass guitar, keyboards, chants) and Ed Oxime (guitar, vocals, drum programming), Concrete Lung gnaw away at the senses and mind, their songs and new EP a bleak exploration of the futility of existence and its toll on the soul, an investigation which eats away at thoughts and passions to leave wasted remnants of hope and presumed safe existence in its ravenous wake. User makes the first incision into the mind, its opening acid burning sonic lancing accompanied by whispered shadows and a shamanic chant. Roving beats soon add their menace to the sizzling slow burning heat, the gait slow and prowling. It is a worrisome encounter at this point but not threatening, that is until the intensity expels its caustic pressure and weight upon the ear, harsh vocals slowly squalling around the lumbering mountainous depths of sound. With harmonic backing chants there is still a ‘lighter’ appeal veining the muscular leviathan of energy and intent, the scowling vocal corrosiveness of Oxime working the passions and mind as potently as the pungent sounds. The track brings the industrial essences of Ministry, Godflesh and early Pitchshifter to beat upon the listener, the EP bred of the same toxicity but taking it to the darkest destructive and emotionally destroying depths possible. Continually shifting to tease and consume alternately and often simultaneously, the opener makes a mighty beginning to the rapacious and primal consummation between band and passions. The following Self-Shriek (Intensity) is instantly a carnivorous torrent of rabid riffs, flesh bruising vocals, and disorientating industrial beats. It is a knee buckling start which allows glimpses of mercy and for breaths to be taken with steps into hypnotic and deceptively tempting asides, but generally snatches then back into its predatory jaws before the listener can grasp their safer climes. It is a scintillating ride of abuse and carnal stimulation accelerating the ardour bred by its predecessor into a more lustful subservience, though that soon is surpassed by the best track on the release. Rot And Seethe sears the senses with a sonic wash initially, scalding their surface with toxic caresses before being joined by savage swipes of mordant intensity, riffs born from rabidity, and skin flailing rhythmic tantalising, the union violent and hungry. It also expels a festering erosive breath which works away behind the severe surface and energy. It is a masterful conjuration of pain and seduction, a ravishing which ignites the passions whilst sterilising hope and life from their remaining refuges. It leaves ears ringing, nerves curled up into the fetal position, and the body displaced from reality; it is noise at its very provocative and majestic best. Things get no easier as firstly Waste scars further the already entrenched wounds, its voracious and unslakable greed a vitriolic sonic fire which devours mercilessly through its scathing destructive discord embrace whilst Flux, a re-recording of their epic track, is pure aural cancer, taking an already great track into new pit seeded filth. With a hidden track also waiting to gorge on the senses, the song sonic mercury with a predaceous toxin, Subtract Nerve is a deliciously vile slice of sonic alchemy. As said it will not be for everyone but if you like feeling and breathing your sounds whilst being taken to the darkest grievous places than Concrete Lung have the perfect vehicle.